Alan McKenzie is the General Manager: Technology. He is a Geologist who, following a short stint at a small gold mine, has spent over 20 years in various positions at Mintek, including in mineralogy, pyrometallurgical research and mineral processing. He has experience in technology development, project management and management across a range of commodities. 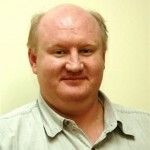 He has extensive knowledge of the minerals industry and project development, and is past president of the Geological Society of South Africa.